We take a look at how South African studios are innovating in 2019, from sound stages to sound design. South Africa has long had a strong selection of studio spaces that range from sound stages and daylight studios to post-production and sound design suites. Cape Town Film Studios is the country’s major facility that caters to large-scale international productions like Tomb Raider although there are other players that have entered this space recently. Most notably Silverline Studios, which hosted The Maze Runner’s latest instalment whilst shooting in SA. Johannesburg is home to many facilities that cater to local productions, with studios like Sasani catering to shows that stretch even as far as Francophone Africa. 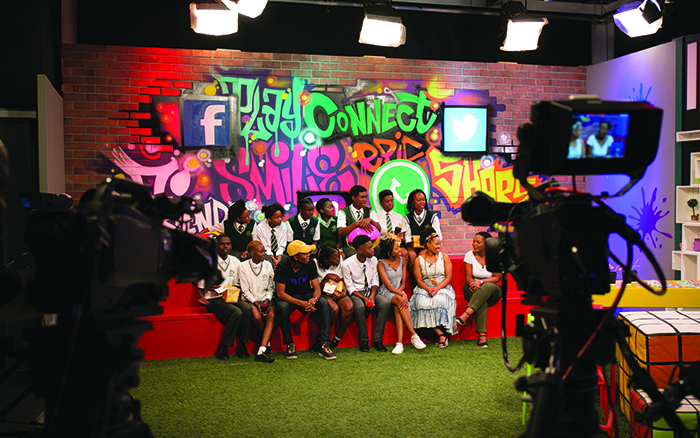 Urban Brew Studios is also a major player in this regard and has slowly been growing its offering to facilitate more international broadcast programme formats. Most recently the studios serviced Cartoon Network’s Pop Up Party. “Studios are a way to bring year-round business to what used to be just seasonal, location-driven business. Being open to year-round activity means the film industry is more sustainable,” says Monica Rorvik, Head of Wesgro Film and Media Promotion Unit.